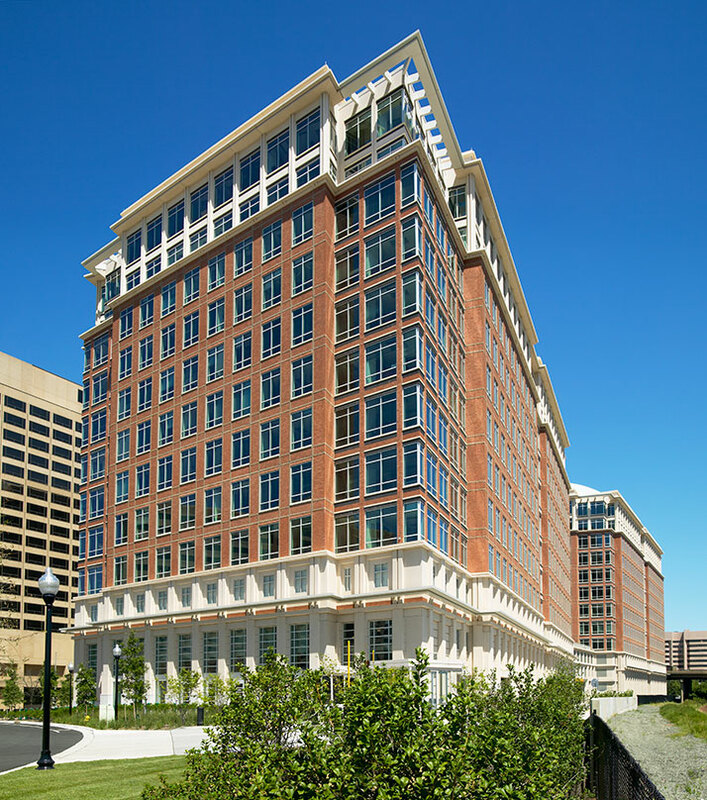 This headquarters for the United States Environmental Protection Agency called for a design that showcased cutting-edge sustainability practices, while honoring the urban guidelines that govern the district. 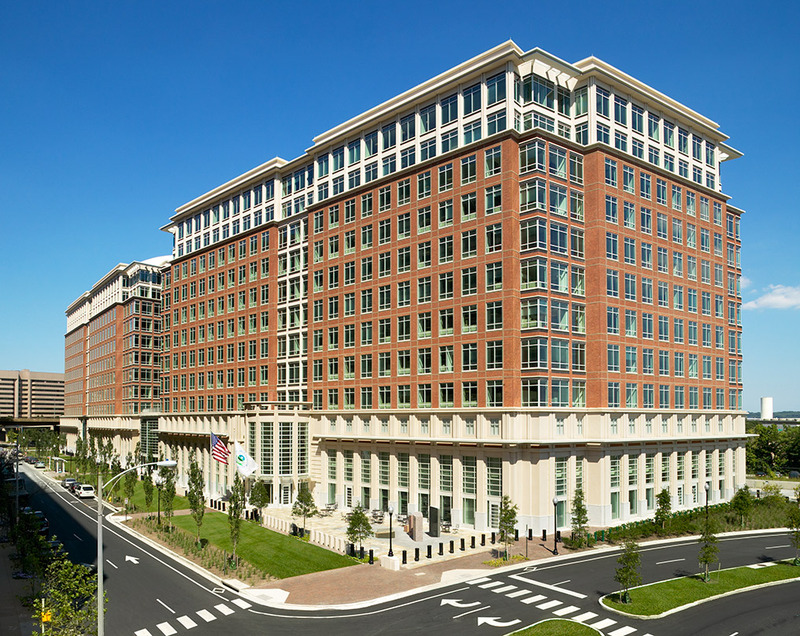 The resulting twin buildings of the headquarters, dignified by the use of carefully-crafted brick and cast stone, also established the tone for mixed-use development of nearly three acres in Potomac Yard, Arlington, Virginia, comprising office and public spaces, along with ground-level stores, to promote a lively streetscape. 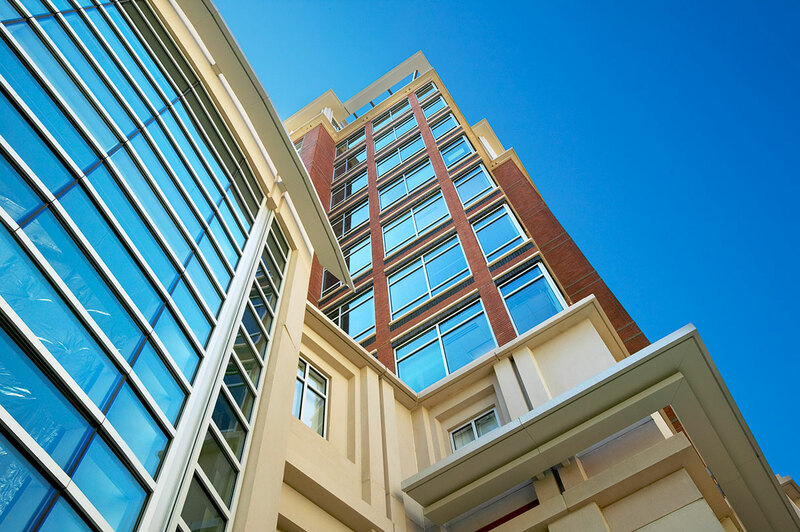 Numerous awards attest to the building’s success in meeting these challenges. 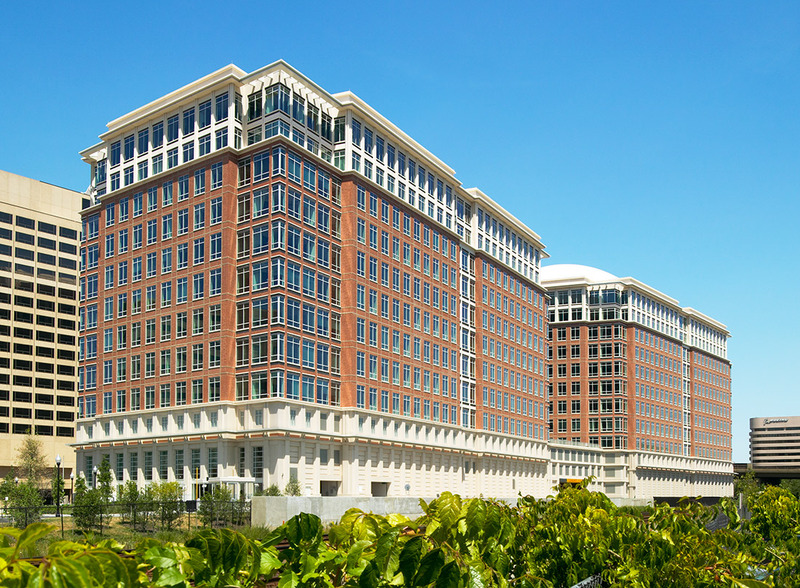 The Northern Virginia Chapter of the National Association of Industrial and Office Properties recognized it with awards in 2006 and 2007. ED + C Magazine named it a Finalist for the Excellence in Design Award. 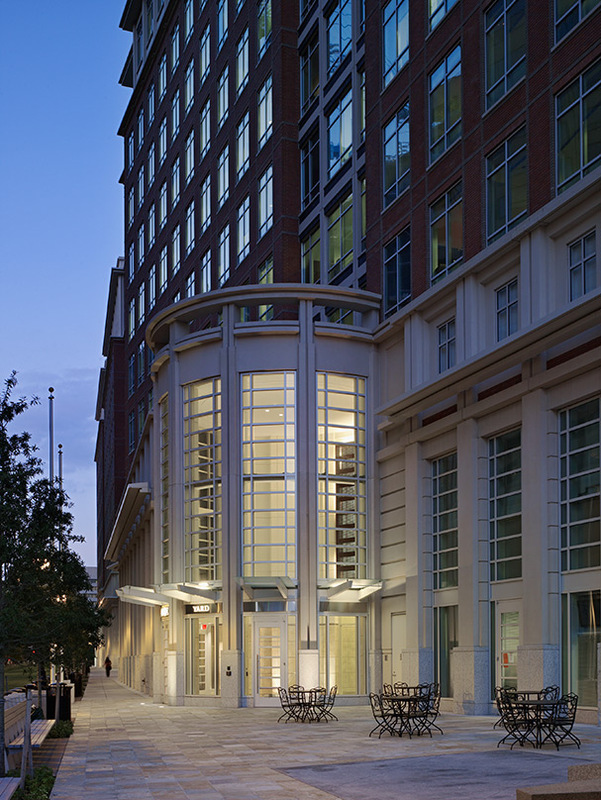 The building’s LEED-EB OM Platinum certification appropriately identifies the EPA Headquarters as among the greenest of green buildings. Fernandez Associates Structural Engineers, P.C. Metropolitan Architects and Planners, Inc.